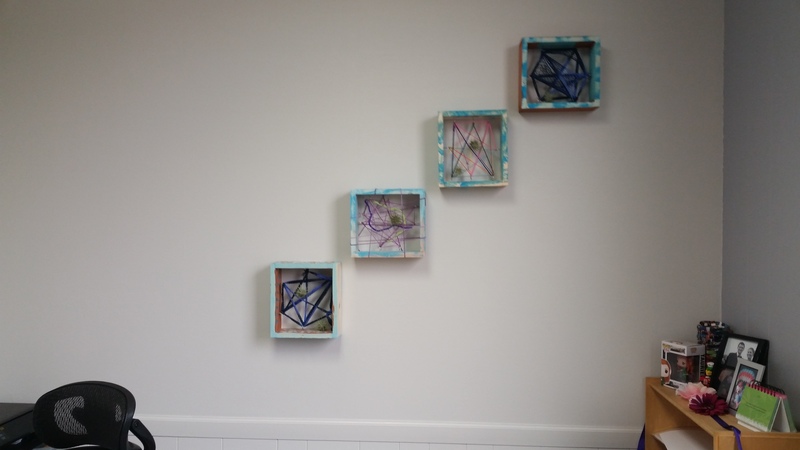 Thanks to our VSA program last spring we created these lovely air plant art boxes as our final project. We painted the boxes, twisted some screws, wove the yarn and placed some cute little air plants in the webbing. These pieces are on display in the Assistant Director’s office. More are currently being hung in the to be “wellness retreat”, which is our staff break room. Pictures to come once the wellness retreat is a finished project!